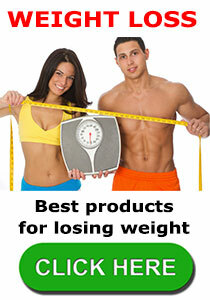 According to Old School Labs, their Vintage Burn diet pills are the “world’s first muscle-preserving fat burner”. That’s a hard claim to prove, but it’s equally hard to disprove. However, it’s true to say it’s not the only product that is designed to work in this way. Having said that, bearing in mind the fact that muscle tissue can sometimes be lost while dieting, Vintage Burn could be particularly attractive to bodybuilders and other athletes/sports people. What is Vintage Burn and How Does it Work? 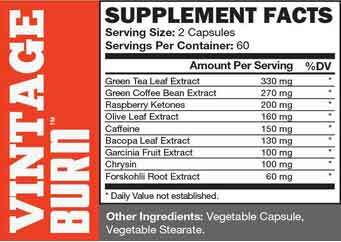 Vintage Burn is primarily designed to work as a fat burner and, like all fat burning diet pills, it contains a blend of ingredients the manufacturer believes capable of boosting the metabolism and encouraging the body to start burning its fat for extra emery. The formulation also contains ingredients to enhance the mood and help the user to avoid some of the negative feelings that are sometimes part and parcel of a low calorie lifestyle and, if the promise of improved focus holds good, people using the product may find it easier to concentrate on their favored athletic or sporting activity. But the product’s main selling point may be its alleged ability to protect muscle tissue. As already stated this may make it useful for bodybuilders and athletes who do not wish to lose any muscle mass while dieting, but it is could also be a bonus for anyone who is serious about losing weight because muscle tissue burns more calories than fatty tissue. Green Tea Leaf Extract (330mg): A tested and proven fat burner, green tea is rich in antioxidants that support good health. Green Coffee Bean Extract (270mg): A well-respected fat burning ingredient that may further boost the weight loss process by helping to dull the appetite. Raspberry Ketones (200mg): A phenolic compound that is naturally-occurring in raspberries and some other fruits. The weight loss benefits associated with raspberry ketones are fat loss and appetite suppression. Olive Leaf Extract (160mg): Although it is occasionally added to weight loss formulations, the potential of olive leaf extract remains unclear in this regard. It may be useful for lowering blood pressure and cholesterol though. Caffeine (150mg): A proven fat burner that should also provide some of the promised improved focus. Bacopa Leaf Extract (100mg): A plant extract that is often used a mood enhancer and may have the ability to improve the memory. The dosage here is somewhat lower than the norm and may not be sufficient for good results. Garcinia Fruit Extract (100mg): A fruit that provides a metabolism boosting chemical called hydroxycitric acid. The standard dose is 500mg so, once again, the amount included here may be insufficient. Chrysin (100mg): A flavonoid that is sometimes used as a treatment for anxiety. It is often added to bodybuilding supplements in the belief that its presence will boost testosterone levels. Forskohlii Root Extract (60mg): Although studies do not support the claims made for forskohlii root extract as a metabolism booster, it does appear to be capable of increasing muscle mass. Customers are advised to take an initial dose of one capsule, twice per day, 30-45 minutes before meals. If no tolerance problems are apparent the dose can be doubled from day four onward (2 capsules, twice per day). Customers who wish to attain the maximum amount of benefit can take two capsules three times per day, but it is important not to take more than six capsules per day and the capsules should never be taken before bedtime. Diet and exercise is advised, and a 60 day usage period is mentioned, but it is unclear whether Old School Labs are suggesting a minimum supplementation period of 60 days or warning not to continue taking the pills for a longer period of time. At the time of this review, the product had received more than 1,600 Amazon customer reviews. A few customers say the product failed to impress them and others report side effects, including headaches and nausea, but the majority of reviews are very good so, on the face of it, Vintage Burn appears to have impressed a lot of people. However, we read a lot of customer reviews and the Amazon reviews for this product strike us as being particularly lengthy (sometimes more than 1500 words), and many reviews also include before and after pictures and video testimonials. All three of these things are not the norm with Amazon reviews so we have to ask ourselves if the Amazon feedback system is being abused in some way. Vintage Burn is a vegetarian friendly diet pill, but Old School admit the pills are produced in a facility that also processes products that contain eggs, milk, shellfish, soyabeans, peanuts, tree nuts, and fish. So Vintage Burn will be an unsuitable option for anybody who is allergic to the aforementioned foods. Women who are nursing a child. People who have existing medical conditions. People who are taking medication. They also point out the fact that the formulation contains caffeine, but a (2 capsule) dose provides a similar amount of caffeine to 1 1/2 cups of coffee, so the caffeine content is not particularly high. Vintage Burn is exclusive to Amazon, and the sales page on Old School Labs website provides a “buy” button that redirects customers to the relevant page on Amazon.com. Each bottle of Vintage Burn contains 120 capsules, so customers taking the maximum dose of six capsules per day will only get 20 days of use from a bottle. At the time of this review the price per bottle had been reduced from $79.99 to $49.99, and shipping was free, but Vintage Burn only appears to be available to customers who are living in the US. It does not look like Vintage Burn is backed by a money back guarantee. Many of the customer reviews still strike us as being suspicious but, looking at the formulation of ingredients used in this product, it may have the ability to do the things the manufacturer claims. It’s not a cheap option though, and the lack of a money back guarantee does not make it a particularly good gamble. Vintage Burn is aimed at men that are looking to us a cutting fat burner – we recommend you look closely at Instant Knockout. 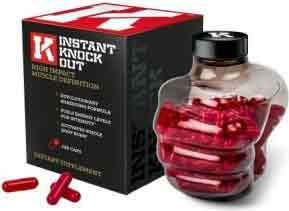 Instant Knockout is a great product that has been developed by users for users. It has a near perfect formula. This entry was posted in Fat Burners, Muscle & Strength and tagged Vintage Burn Canada, Vintage Burn negatives, Vintage Burn Side Effects by admin. Bookmark the permalink.